Annie loves her plaid shirt. She loves everything about it. In fact, she loves her plaid shirt so much that she wears it every day. But when Annie's uncle is getting married her mother tells her she must wear a dress to the wedding. Her mother takes Annie and her brother shopping. Her brother gets a suit, but Annie can't find a single dress in which she feels comfortable. 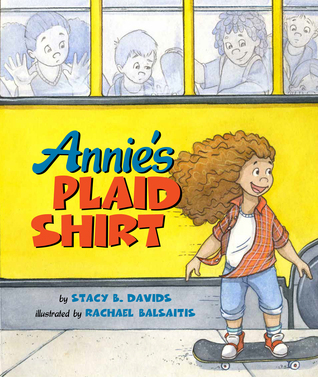 Author Stacy B. Davids' Annie's Plaid Shirt is a book which will resonate with young readers on the importance of staying true to one's self. With a message of individuality and empowerment this book is sure to help youngsters understand the value of non-conformity. Whimsical illustrations by Rachael Balsaitis are vibrant and expressive and help further enhance this book which is recommended for home and school libraries.